* Cut the onion in very thin slices. * Put a big pot with the oil and when it gets hot, add the onion. 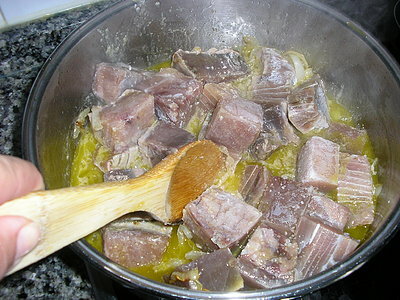 * When it turns transparent, add the tuna, the salt and the black pepper. Stir. * Now add the wine and the laurel, stir and let it poach about 10 minutes in normal/low heat. 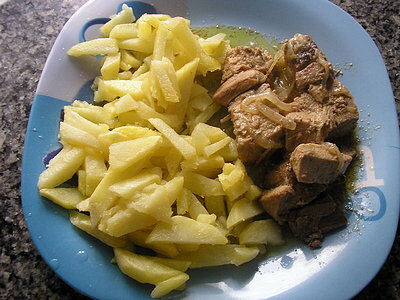 * It´s ideal with fried potatoes or boiled rice. *Corta la cebolla en rodajas muy finas. * Pon una olla grande con el aceite y cuando esté caliente, añade la cebolla. * Cuando esté transparente, añade el atún, la sal y la pimienta negra. Mueve. * Ahora añade el vino y el laurel, mueve y deja que se poche como 10 minutos a fuego normal/bajo. * Es ideal con patatas fritas o arroz hervido. 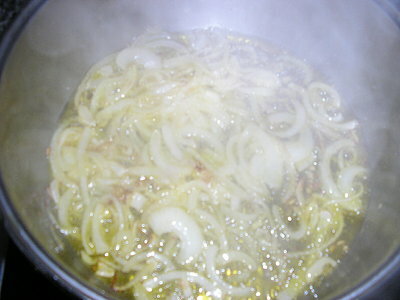 * Heat the oil in a big pot (or large saucepan) and when it gets hot, add the onion. 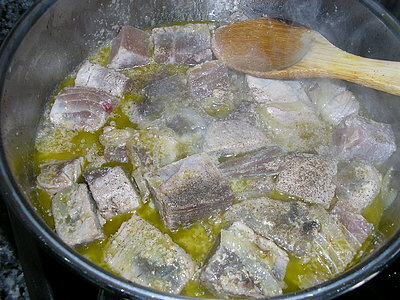 * Now add the wine and the laurel, stir and let it poach for about 10 minutes on normal/low heat. Eso es una buana receta. Simple, rápida y sabrosa.